Frederick William Croxton was born on 5 Jan 1898 in Virginia, USA. He died in Unknown. Frederick married Arline Welby Funkhouser. Arline Welby Funkhouser was born on 3 Nov 1897 in Virginia, USA. She died on 24 Apr 1970 in Arlington National Cemetery. Arline married Frederick William Croxton. F i Nellie Lee Croxton was born in 1921. She died in 1968. John Aloysius Stuever [Parents] [scrapbook] was born on 15 Aug 1900 in Oklahoma. He died in 1978. John married Rose Marie Landoll on 24 Sep 1924 in Pierce City, Lawrence Missouri, USA. Rose Marie Landoll was born on 8 Dec 1900 in Ohio, USA. She died on 19 Apr 1989 in Lawton, Oklahoma. Rose married John Aloysius Stuever on 24 Sep 1924 in Pierce City, Lawrence Missouri, USA. M i Joseph Landoll Stuever was born on 22 Sep 1925. He died on 12 Mar 1996. F ii Claris Marie Stuever was born on 17 Apr 1926. She died in 1970. Fredrick Henri "Fritz" Stuever [Parents] was born on 26 Jul 1906 in Illinois, USA. He died on 9 Oct 1939 in Lawton, Comanche County, Oklahoma, USA. Fritz married Norma Meyer in 1928. Norma Meyer was born on 22 Sep 1909 in Missouri, USA. She died on 15 Oct 2007 in Lawton, Oklahoma. Norma married Fredrick Henri Stuever "Fritz" in 1928. M i Joseph Henry "Hank" Stuever was born on 19 Mar 1932. He died on 1 Oct 2007. M ii George F. Stuever. 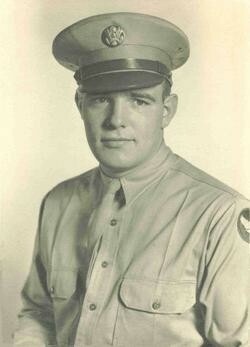 Joseph Henry "Hank" Stuever [Parents] was born on 19 Mar 1932 in Lawton, Oklahoma. He died on 1 Oct 2007 in Albuquerque, New Mexico. He was buried on 20 Oct 2007 in Lawton, Oklahoma. F ii Ann M. Stuever. F iii Mary C. Stuever. M iv Joseph Hank Stuever Jr..
Spencer Joseph Hankins [Parents] [scrapbook] was born on 27 Mar 1921 in Oklahoma City, Oklahoma. He died on 18 Feb 1966 in Lawton, Oklahoma. Spencer married Alberta Ann Stuever. Alberta Ann Stuever [Parents] was born on 18 Sep 1919 in Oklahoma City, Oklahoma. She died on 16 Sep 1987 in Lawton, Oklahoma. Alberta married Spencer Joseph Hankins. Frank Edmund Hankins was born on 18 Dec 1874 in Iola, Allen, Kansas, USA. He died on 21 Oct 1949 in Lawton, Oklahoma. Frank married Grace Jenny Wycle. Grace Jenny Wycle was born on 13 Feb 1888 in Gilman, Iroquois County, Illinois. She died on 10 Jul 1958 in Lawton, Oklahoma. Grace married Frank Edmund Hankins. 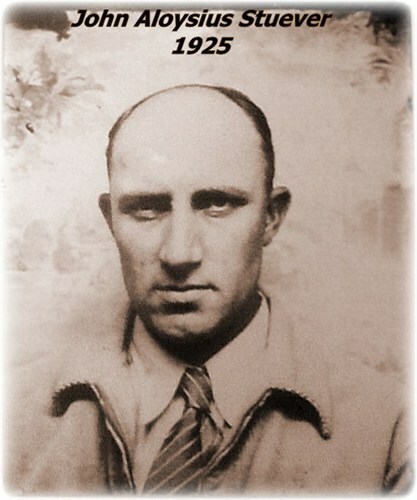 M i Spencer Joseph Hankins was born on 27 Mar 1921. He died on 18 Feb 1966. Fielding Hankins was born in 1910. He died in Unknown. Henry Hankins was born in 1913. He died in Unknown. Ned Hankins was born in 1915. He died in Unknown. Margaret Hankins was born in 1917. She died in Unknown. Dorothy Hankins was born in 1919. She died in Unknown. Rosemarie Hankins was born in 1924. She died in Unknown. John Bryan Spruiell was born on 16 Mar 1926. He died in 1990 in Unknown. John married Claris Marie Stuever. Claris Marie Stuever [Parents] was born on 17 Apr 1926 in Oklahoma, USA. She died in 1970 in Oklahoma, USA. Claris married John Bryan Spruiell. Joseph Landoll Stuever [Parents] was born on 22 Sep 1925 in Oklahoma, USA. He died on 12 Mar 1996 in Oklahoma, USA. Joseph married Glada Moria Stair on 4 Jul 1949 in Lawton, Oklahoma. Glada Moria Stair [Parents] was born on 13 Mar 1925 in Unknown. She died on 24 Jan 1991 in Oklahoma, USA. Glada married Joseph Landoll Stuever on 4 Jul 1949 in Lawton, Oklahoma. Daniel Ray Stuever was born in 1960 in Oklahoma, USA. He died in Nov 1972 in Lawton, Oklahoma.